Dentists have talked about giving patients a beautiful smile for decades. A smile has an enormous social impact and can create a dynamic first impression. Furthermore, we all know that smiling is fun. In fact, most of us would agree that we want to be able to smile as much as possible. However, sometimes we get self-conscious about an aspect of our smile, and that makes us reconsider showing off our pearly whites. In our modern age, we’re even more cognizant of our smiles, as the number of pictures of our smiles is amplified by our social media platforms, which consistently display our smile for all of our friends and the public to see. If you’re concerned about one of these elements, we can help you achieve the smile you crave. 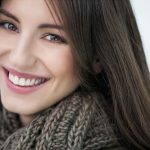 We perform a wide variety of cosmetic dental procedures, most of which have a significantly positive impact on your overall dental health, as well. If you have any questions or if you would like to schedule a free consultation, please contact our team or make an appointment. Our incredible staff will give you the best dental care possible.